Sweet, simple and perfect with a little sprinkle of cayenne pepper… I’ve plated this dip up with some slices of cucumber, but you could dress any vegetable up with this dip or simply lay out a variety of vegetables around the dip. Combine all ingredients together in a food processor until the mixture is smooth and creamy. 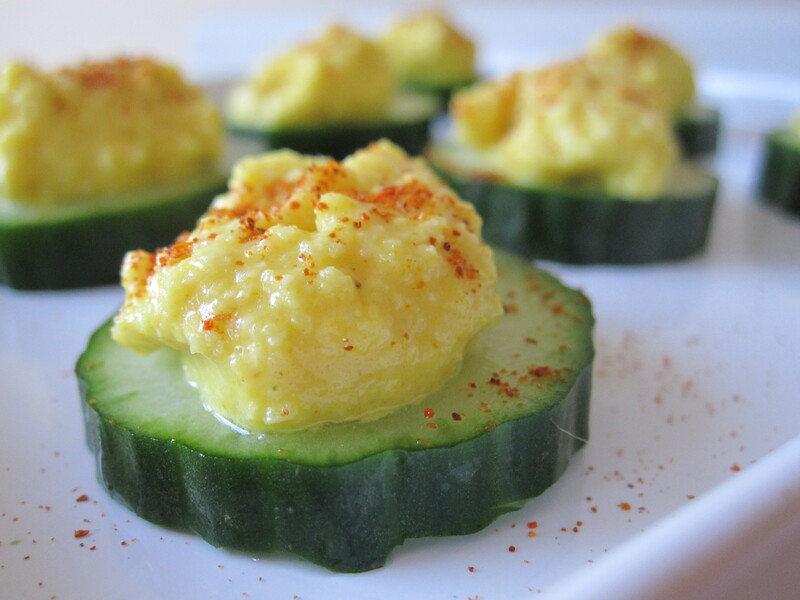 Serve with vegetables and a sprinkle of cayenne pepper or chili flakes. And of course – enjoy!